I am best known as an oil painter. But before I took the path down oil painting, I spent considerable time practicing Chinese ink painting. My experience with the East and West art systems over the years have yielded some interesting observations, one of them being similarities in principles between Chinese landscape paintings and Cubism pioneered by Picasso. The East and West are two distinct art systems. How then are Song-Yuan Dynasty landscapes related to Picasso and Cubism? Though they seem completely different at first, unusual associations emerge when we subject both to careful study and appreciation. 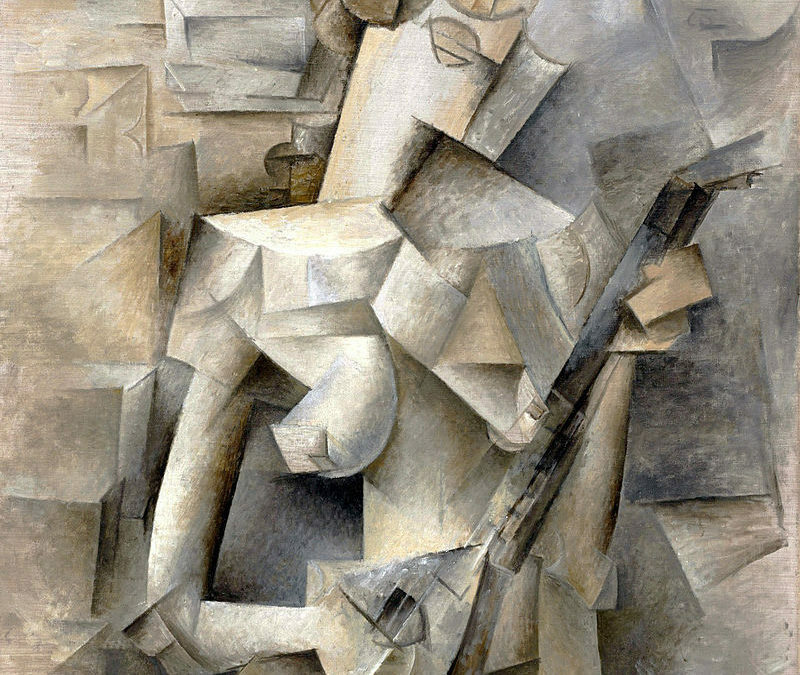 The principle of Western Cubism is to take the external features of the subject as perceived from different angles then piece or assemble them together to create an artwork different from the actual subject. Picasso believed that artistic works can only be considered “creative” if they are different to what appears in nature. Almost all modern schools of art embrace this principle. An extension of this principle has produced a wide variety of new styles and artworks. Whenever I visit the National Palace Museum in Taipei and stand in front of the painting Travelers Among Mountains and Streams by Fan Kuan, I am always moved by how the majestic mountains that rise from the ground, the waterfall plummets from up high, as well as the ancient woods and buildings. I could almost hear the mountain spring and the travelers’ chatter! The landscape painters of China created landscape paintings inspired by nature that becomes something more. 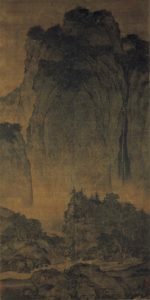 The result is a unique sense of interest and aesthetic value in Chinese landscape paintings. Something interesting emerges when we compare Song-Yuan Dynasty landscapes and the works of Picasso side by side. We see that neither present the actual subject of direct observation. Instead, a creative treatment has been applied. Their impact on the audience is completely different though: Most people don’t understand Picasso’s paintings. They may understand the principles of Cubism but may find it challenging to relate to it. Chinese landscapes produce a different response – we continue to believe what we see is real and can imagine ourselves “living, traveling and playing” within the painting. There is nothing jarring or discomfiting about the collage. Maybe this goes back to the philosophical difference between the West and the East – individuality and harmony. This difference between Eastern and Western arts is quite thought-provoking.